With the pressure of life today, it has become harder to stay on top of the main and precious part in our life..Your home and family. So why spend you precious time cleaning when you can have this time together. At Custom Made Services, we understand what it takes to get you home back to the level of clean you dream your home to be. 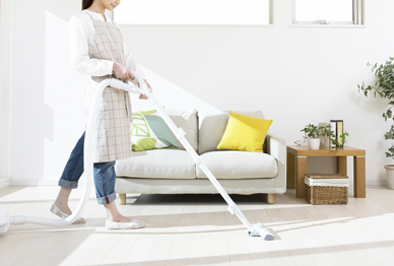 We offer regular weekly and fortnightly home cleaning. All our team are police cleared, covered by public liability, reliable, honest and an eye for detail, our team are uniformed, they have had up to 8 weeks training before being place out on their own. At Custom Made Services Adelaide we offer – Office Cleaning, short term/holiday home cleaning, end of lease/move in or out clean, we will even help you out when it comes to preparing your home for sale. With the cleaning out of the way, you can also, not worry about cleaning products as we provide all this as part of the cleaning package. Our products an environmentally friendly, Micro cloths and mops used and washed daily. Hygiene is important to us. Our routine clean is the same each and every time we come to clean. We will dust throughout the home, cobweb regularly, disinfect/sanitise bathroom and toilet areas, wipe down all surfaces in the kitchen and laundry, wipe over all the appliances, we sanitise and check/wipe over light switches, doors and frames. Finishing of with vacuuming all floors and mopping hard floors. You come home to a sparkling, bright clean home. Our thorough home cleaning includes, dusting, cobwebbing, floors, wet areas, kitchen and much more. We offer regular weekly, fortnightly& monthly cleans.We have bed making for more prestige cleaning. Short-term rental/holiday homes cleans, leaving the home clean and fresh for the new holiday makers. Extras Available – Oven cleaning, washing walls, cupboards cleaned and reorganised.